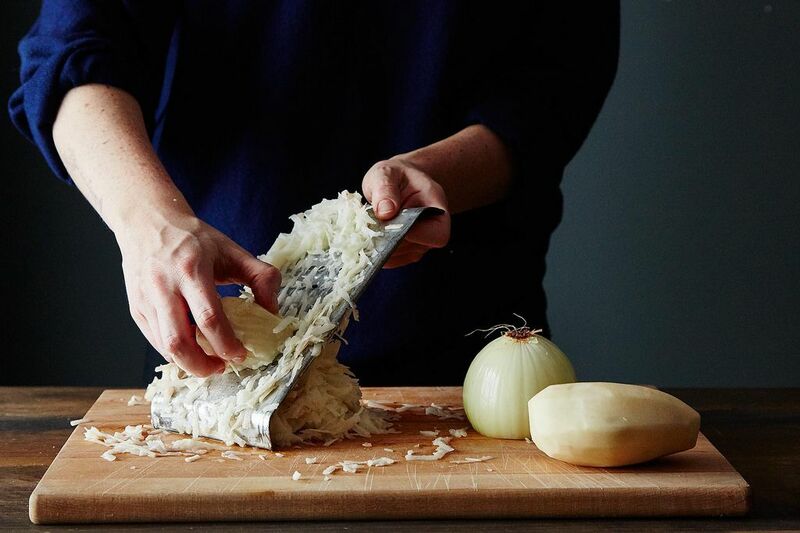 Today: Food52 alum Catherine Lamb is showing you how to make hash browns miles better than your nearest diner, without a recipe. You sit down to brunch. You're starving. You're sleepy. You're possibly hungover. You order the breakfast special, the biggest plate on the menu -- the one that comes with eggs and toast and bacon cooked just the way you like it and, of course, hash browns. Your food arrives, you pick up your fork, and halt midair. What do you eat first? There's only one correct answer to this question: hash browns. 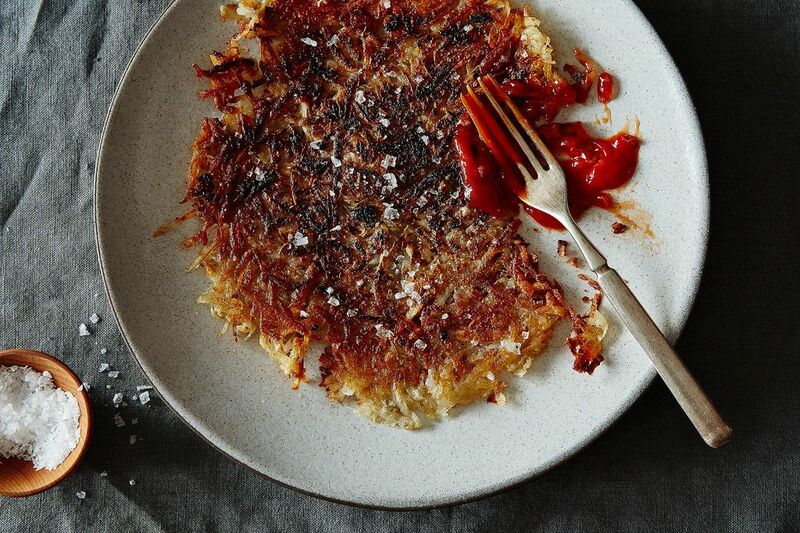 Crispy, starchy, salty, and begging to be dragged through a pool of ketchup, hash browns are the perfect weekend breakfast food. In fact, they might be the perfect food, period. You've probably had to suffer through a lot of sub-par hash browns in your life -- ones that were soggy and limp and sort of sad-looking. But now it's time to reclaim hash browns as the ultimate breakfast item they were meant to be. Stick these tips in your back pocket and start dreaming of breakfast right now. Or go ahead and have hash browns for dinner. We don't judge. 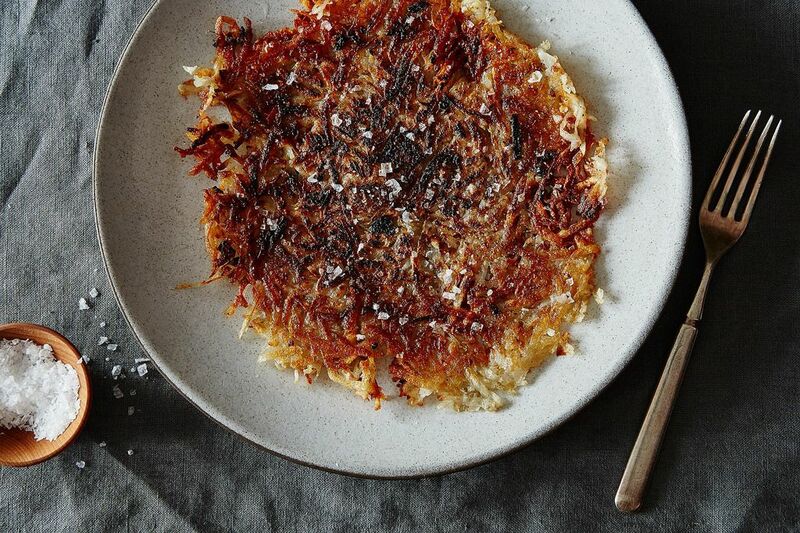 Here's how to make the best, crispiest hash browns, without a recipe. 1. Gather some potatoes (I like Idaho), a yellow onion, nice flaky salt, and some neutral-tasting oil (make sure it has a high smoking point). You can suss out your own preferred potato-to-onion ratio (or even leave out the onion altogether, though you'd be missing out), but I typically use one onion for every two large potatoes. 2. Grate your potatoes and onion by hand or, if you have on of those cool time-saving attachments, in a food processor. 3. 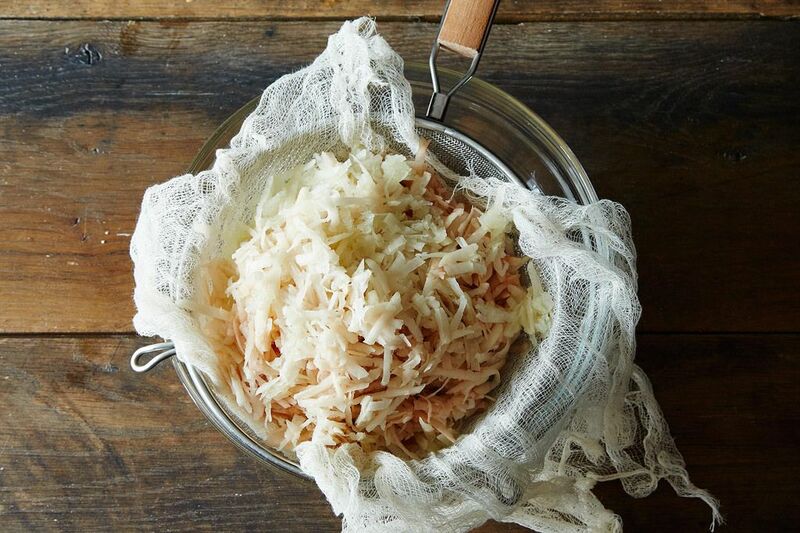 Wrap your grated potatoes and onion in a cheesecloth or a clean dish towel, then squeeze the life out of them. Once you've wrung out all the liquid you can, set the whole bundle in a strainer and place it in the sink or over a large bowl. Leave it for a few minutes to allow all the excess liquid hiding in your potatoes to seep out. While it is extremely difficult to wait for hash browns, don't skip this step: It will ensure that your hash browns have a lovely, shatteringly crispy lid. More: Use this same technique to make no recipe latkes. Just don't forget to play a rousing round of dreidel! 4. 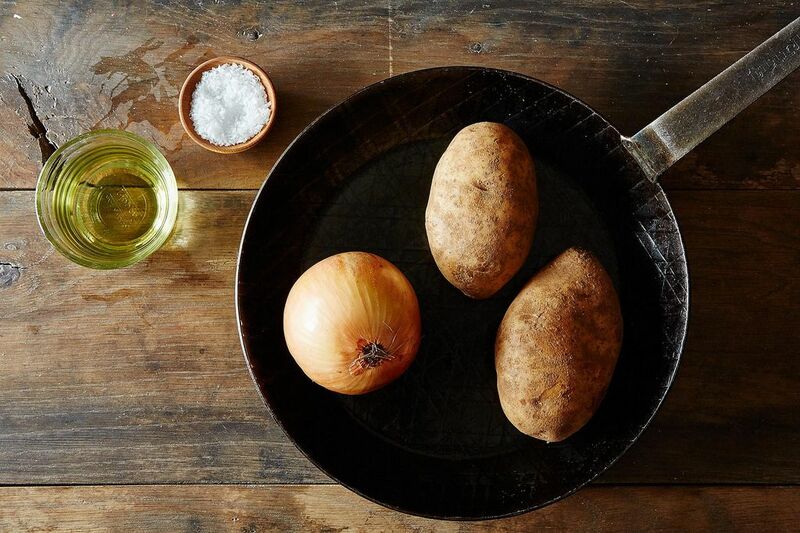 Coat a non-stick or cast iron skillet with a thin layer of your oil, about a tablespoon. Crank the heat up to medium-high. After a minute or so, test to see if your pan is ready by dropping in a few strands of potato. If it instantly starts to sizzle angrily and spit at you, it's time. Spread out some of the potato mixture in a thin, even layer along the pan. Don't make it too thick or you'll have a lot of potato to cut through -- I'd say about 1/4-inch thick is a good bet. 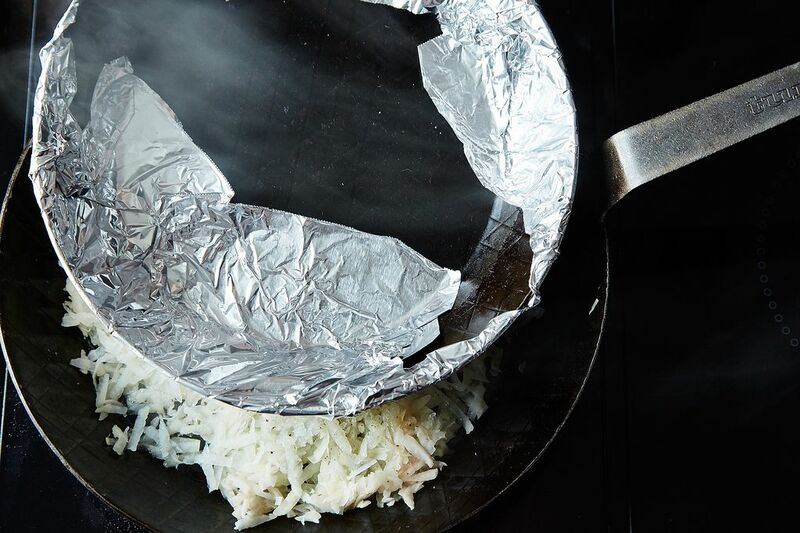 Now here's the real secret to cripsy hash browns: Place an aluminum foil-wrapped pan (or other heavy item of roughly the same size as your original pan) on top of the potato layer. Weigh it down with something (like a can of tomatoes) if it's light. Then, walk away, change your laundry, and/or drink a mimosa. Come back and remove the top pan, then use a spatula to peek at the underside of the hash brown. If it's that telltale hue of brown and deliciously crispy, you're ready to flip. You can either execute this move with a suave chef-like flick of the wrist or, if you want to play it safe, turn the hash brown out onto a plate and carefully slide it back into the hot pan, crispy side-up. Weigh the whole thing down again. 5. Once your hash brown is golden brown on both sides, you're ready to eat. Slide it onto a plate, hit it with a pinch of salt, and make sure your ketchup is at arm's length. You're going to need it. Do you have any tricks for the perfect hash browns? We want to hear them in the comments! My grandparents had a cafe - we never did this with our hash browns. We used bacon grease and "scrambled" them until they were nicely browned (crunchy came with a little extra time). There is no one "perfect" way to make hash browns, it's all your own taste preference. My husband likes to squeeze the water, I toss the suckers in as soon as they are grated (the oxidization of the potato doesn't matter here, as once they heat, they return to the normal color), we both get crispy outsides, while mine tend to be more potato-y in the middle (nice bite texture) and his are drier and more like potato chips. We make ours separately on a slow Sunday morning and enjoy them our way. I have to say that I've never had really good hash browns in a cafe/diner, even though I always ask for them crispy. That's the way I like them. To each his own! Yes, to each their own - thank you for your rather "kind" comment. The mashed together mass you all call "hash browns" I grew up calling American fries; hash browns will always be a delightfully multi-textured pile of potato. My grandfather would make his with bacon-fat, black pepper, onion, garlic and a few other spices for the most amazing hash-brown possible. There was always something quite satisfying with the light crunch that came with this. Whether it was made with breakfast, lunch or dinner, it was definitely the first component to run-out! LOL! Oh no, the family had to share? I get mine all to myself b/c my partner doesn't eat carbs !-) I use bacon fat when I have it. Adding onion is somewhat like a latke, no? Those are made in about a quarter inch of fat and the potatoes are loosely piled like a nest. I wonder kind of fat is traditionally used for those. I've never mastered latkes but the photos of them look wonderful. Wow, many of these comments are so competitive and critical. Why would you post a picture with hashed browns that are burned? "Burnt" is in the eye of the beholder - they look like they would have a great flavor and texture contrast. No, burnt is burnt. The acrid taste is not contrast in taste and texture. Well browned is something completely different. There is a very thin line between deliciously charred, and burnt. The above image dances that line beautifully. Charring give a smoky flavor without screaming "smoked". Burnt, delicious in its own way (we deliberately burn toast in my family), has a new texture and flavor that pairs quite well with coffee, milk, orange juice, butter, heck anything, really. Coconut oil is a great oil as it has a high smoke point. It does have a telltale aroma/taste of coconut but it works well with potatoes. Not only that, coconut oil is very good for you. sorry, but i dont agree with this method. i grate my potatoes, place them in a ice bath to prevent browning and to eliminate some of the starch which inhibits browning in the first place. then i squeeze the crap out of them through either muslin/cheesecloth/super fine clean tea-towel (not a cotton dish towel, lol) until almost no water remains. then i cook them on high heat, with a combo of oil and butter, or solely with clarified butter because of the smoke point issue, and flip when brown. one pan to clean up, and the results are effectively the same. I'm surprised no one mentioned using two iron skillets one inside the other unless I missed it. Poor man's panini maker and probably the way most did it for generations. I just got back to this thread b/c of the latest comment. I love this idea. I have been using a spatula to keep squashing the potatoes down as they cook and soften. I just bought a new (old- Wagner which is flat, not Griswold which has a lip around the bottom) to better make my favorite hash brown potato "pancake." I thought my old one had warped on my new stove as they were coming out burned in the center. Just tried the "new" pan this morning and it did the same. It must be that the stove element is hotter in the center :-( Btw, I got copper diffusers so it's safe to use cast iron on the glass top. The new pan is somewhat bigger than the old one so I just went in the kitchen to see if the old one would fit inside the bigger one and it does but it doesn't sit flat because it is not as deep. So I'm afraid your technique will not work for me. But perhaps the dutch oven would work- I'll check into that later! I read the title, looked at the picture, then read the comments. I was amazed that only one person commented on the burnt hashbrowns. The technique described is pretty much what I do but I think I keep a better eye on the potatoes as they cook. At any rate, I would have tried for a better picture. Pre-boiled potatoes in this method yields Rosti Potatoes (an Umlaut over the "o"), the Bernese Swiss' favorite form of potatoe pancake. I find boiling the potatoes first then grating and cooking makes the best hash browns. You can boil the potatoes days ahead abd leave in the fridge-this cuts down the cooking time (5 minutes per side). Grating warm just boiled potatoes creates a fluffly cloud like inside and crunchy crust (also 5 minutes a side). if you did not try this you might want to before you indicate thata there is a better way than doing it?? Seems odd. I used to do it the way you suggest....more or less. This recipe is (to me) much tastier and crisper. superior!! And furthermore ;-) if you do NOT use russet (mealy) potatoes, it will not be "starchy". FANTASTIC! Made me very happy; used organic Seiglinde potatoes (German butter P).....how amazing. Followed the instructions. A whole world of squashing with another frying pan and weighing down has opened up to me. Thank you so much. Use something other than a boring potato! Sweet potatoes, yams, beets, kohlrabi, turnip, rutabaga, coloured carrots, zucchini, squash... oh my. I thought this recipe was my invention! I have been making hash browns this way- almost- forever. Some differences: 1) don't always wring out or drain the potatoes- some varieties are wetter than others. 2) cook them in a cast iron frying pan with lots (~two tablespoons) of sizzling butter and 3) don't weigh down with a pan, but flatten them down hard with a flat spatula. 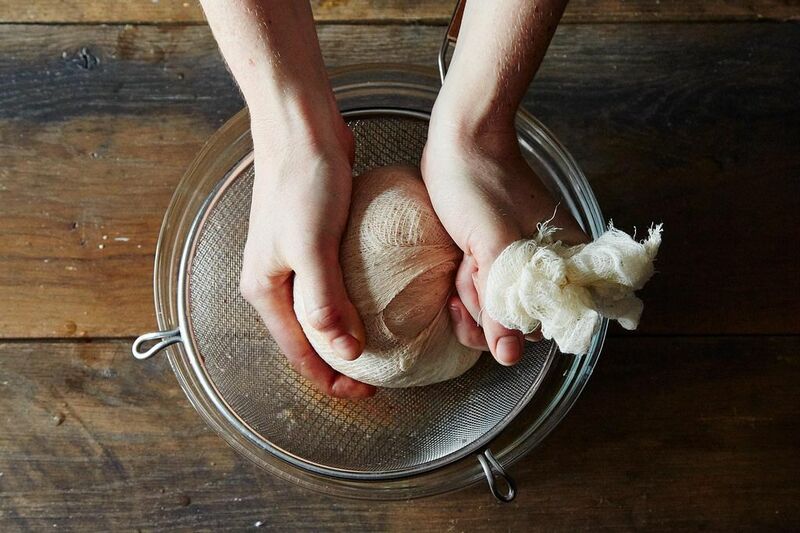 As they cook, they soften and can be flattened even more. After patting the potatoes down flat, I take another tablespoon of butter and distribute pats around the edges to make sure that the edges will be crispy brown and easy to pry up to turn over. Uncovered, any moisture in the potatoes is free to steam off. It's usually not necessary to add more butter after turning them over. I use medium-low heat (setting 4 out of 10 on my electric stove's knob) to get them perfectly brown and crispy. I wrap half with a folded over paper towel and eat out of hand, like a McDonald's hashbrown but 10 times better. Yum. My favorite breakfast. Love very crispy Hash-browns, but those look somewhat in some spots to dark! My favorite accessories for this will be my washed and triple aluminum foil wrapped kitchen brick! Works like a charm on these and bacon!